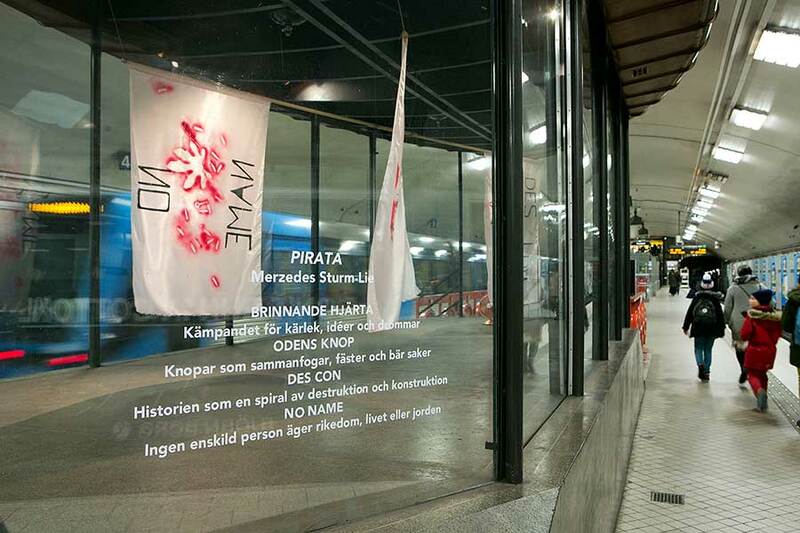 The title of the work - Pirata - is a non existing word in English and Swedish, a feminine bending of the word pirate. 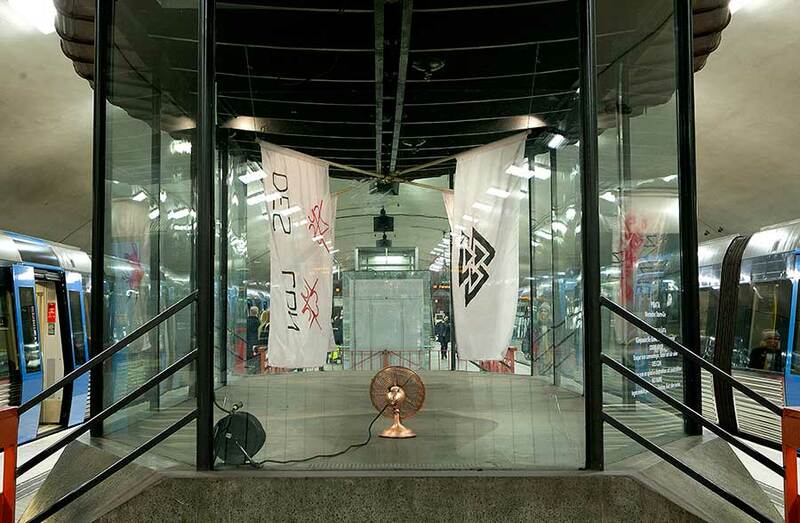 The glass booth at Odenplan Subway station is shaped like a boat turned upside down. A boat is mostly in motion. 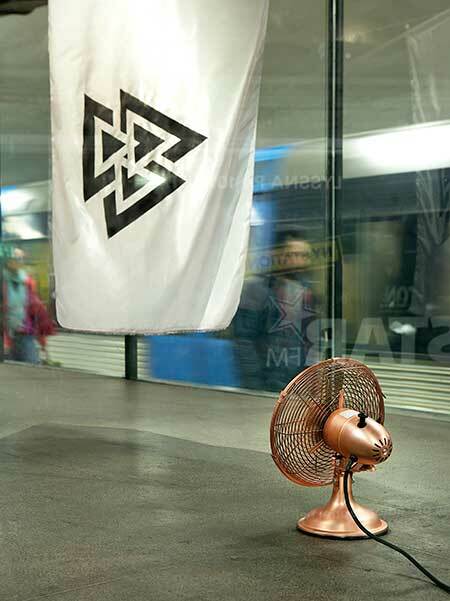 Now and then it stops to claim a short time ownership of a space and thereafter moves on. 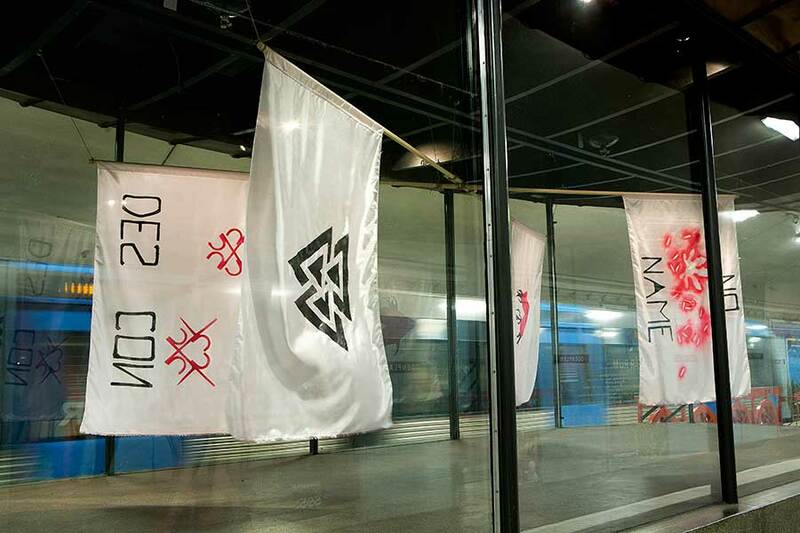 The symbols on the flags relate to core ideas on humanity, society and cosmos. SL:s glass booth at Odenplans subwaystation. 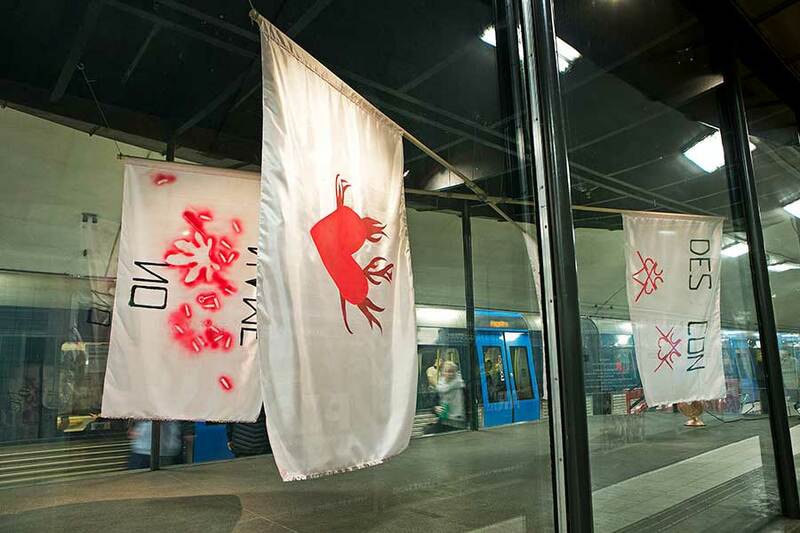 This is the 80th exhibition in a row where commuters can view work by an upcoming and young generation of artists.